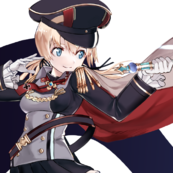 some buffs for Hipper,Gneisenau,Bismarck,Mogami,Myoko,Yorck,Nagato,Nurnberg,Konigsberg,Furutaka,Aoaba,Konig,Bayern,Sharnhorst,and finally but not least FDG. shells should richochet..and bounce off..
Why do those ships need buffs? Also rain wouldnt negate the ability of shells to start fires. I suppose you could make the case it might lower the time to put it out perhaps during cyclones. Still doesn't change the fact that ships caught fire in squalls. Why do these ships need buffs? Bismarck and Scharnhorst especially do not need any buffs. Again...why? Why should shells...ricochet? Off of what? At what angle? From what gun? Ok...So what is the seventh upgrade slot? What is the price of these new upgrades? What do these new upgrades do? What ships will use what upgrades? The number of upgrades for ship tiers is fine. So... buff the ships you play? 1. You are aware that there are several substances, that can be found on a warship like, oh, illumination shells if I recall that use magnesium) and oil and more that even water will not extinguish - also - just no, even if fire itself needs some work. 2. I can't really speak to IJN cruisers or Hipper, but the German BB's buffed are you mental? Other than I have some crap luck, namely in the tech tree ships, especially on my A-game I've wrecked Iowa's with my Scharn. If I could get some better/less passive teams and keep my aggression more in check, I'd be set and I'm maybe average at this game. 4. Maybe certain ships but otherwise no. Only the Nurnberg ( which is just utter trash) and Yorck get close to needing buffs here. yes...this...on all ships...why do they keep damaging me? I have just recently (Brit CLs) discovered that the Yorck is particularly vulnerable to citting but didn't have that issue while running it myself(finished before Brit CLs)...& I find the Nurn to be OP myself...insane ROF/tier...but that may just be me...IDK. Now the Myoko...that glassy POS was the most excruciating grind in the game for me (excluding RU DDs...I'm overwhelmed w/just the idea of confronting the grind of the Minsk to elite status...2-100k grinds w/4km torps in a DD...whimper...Stalenium & Russian bias goes out the window on that 1. BTW...I don't free XP any ships...grind them all...even the mods...but back to the Myoko)...& the rear firing only torps have gotten me sunk numerous times in IJN cruisers in general but the glassiness of the Myoko meant instant back to port every time. IJN line made up for it w/the Mogami though...fire breathing madness there...& Ibuki so far is better than I thought it would be also. Edit: Sorry...can't praise the IJN line w/out mentioning the Kuma...even w/all the new fangled options of all the new ship lines the Kuma is just plain fun...unfortunately don't run it much anymore though as it seem a bit clubbish to drop down to T4...only for T4able Challenges/Missions that I need to grind out at last minute because I couldn't get to them earlier...never fails to complete them no matter how far behind I start.